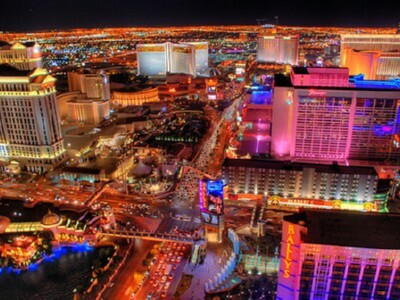 Las Vegas is associated with the fast life. Even if you’ve never been there, chances are you’ve seen at least one movie set against the backdrop of Las Vegas—the desert oasis where anything goes… and stays there. If you’re like me, than you find the movies that involve heists the most interesting. How epic would it be to calmly make your way to a casino, rig the slot machines and use your impossibly intelligent brain and knowledge of card counting to win millions in Black Jack? Perhaps those sorts of things actually happen in real life, but the closest I’ve come to it is playing online bingo games and makind use of bingo promotions. The fact remains that casinos exists essentially to earn a profit, so of course they get in a lot more than they give out. Below is a list of five tricks that they use on people to get their greens. Step into a casino and you’ll hear bells ringing and machines beeping. You’ll also see lights flashing and slot wheels spinning. Every experience in a casino is meant to feel like positive one—even losing thousands of dollars. These devices are installed with the intention of stimulating a sense of euphoria and giving the gamblers the impression that everyone around them is winning big. Even after someone loses a game, the dancing lights sing a happy tune that makes the loser feel like they’re still winning. I call this the Charlie Sheen Effect. A lot of people in the 21st century don’t wear watches. Casinos know this, and aren’t about to remind their customers that they had intended to leave after one or two hours. It’s the same trick that marketers use in malls. They want people to slip into a trance, lose track of time and forget about the world outside the casino walls. This is also the reason there aren’t any windows. If there were windows people might notice that it’s gotten dark outside or that there’s something more interesting than a slot machine. Most people might assume that casino managers hire beautiful women merely to get the men through the door. This assumption is correct, but there’s another reason. It’s been scientifically proven that men are more inclined to take bigger risks when there’s a beautiful woman nearby. Casino personnel know that the poor guy who’s just lost thousands in Black Jack is likely to play another round when the lady in red offers him a drink. Beauty is in the eye of the beerholder. Is that waitress really that pretty or is it just the beer goggles? You can imagine that the combination of point three and point four are enough to make most men spend much more than they can afford. What’s more, even the intelligent card counter’s mathematic ability will be corrupted by all the pink drinks. These are all avoidable risks if you would just do as I do and play online bingo. A lot of gamblers are adrenaline junkies, and there’s something about nearly winning that makes your heart start racing. Perhaps you missed the million at the slot machine because the last image was a cherry instead of a star. Or maybe you won a few hands at Black Jack, and that gave you the confidence boost to play (and lose) a lot more. At the end of the day, the games inside a casino are meant to take more from you than they give you in wins.